Sorry for the silence guys, I’m back again! Was busy with other stuff, and then got sick, although that was self-inflicted cause it was from coffee withdrawal. I like coffee (2 shots of espresso a day! ), but I really don’t like the idea of constantly drinking it just to stave away the withdrawal symptoms, so I quit cold-turkey. Heh, big mistake, in hindsight I should’ve just weaned my consumption. Headaches and nausea happened for a little more than a week, and I think I had a panic attack one night, jeez. 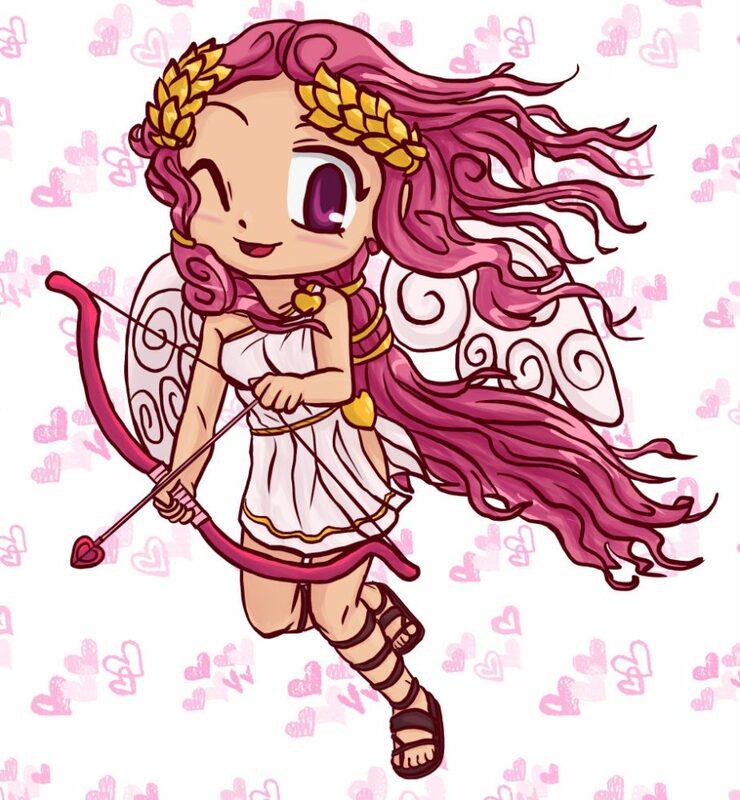 Anyhoo, here’s a detailed Monthly Myan (and Friends, cause I want to draw other characters too) of Hibi as Cupid (with a bit of Birth of Venus, cause she was Cupid’s mother) to make up for my absence.